At 87, Toni Morrison is a direct woman. The Nobel laureate in literature has long contemplated her legacy, and the larger meaning of art, society and belonging. A moving piece of evidence for this unfurls in The Foreigner’s Home, a feature-length film, making its regional debut at the Cleveland Museum of Art, 35 miles east of Morrison’s childhood town of Lorain, Ohio. The film screens at 2 p.m. Saturday. 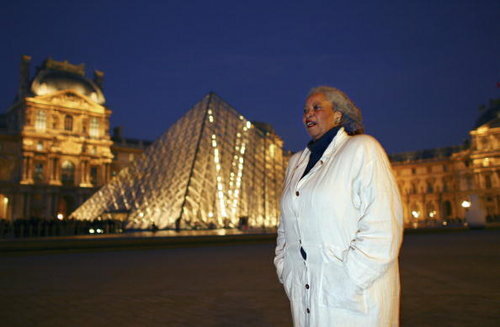 The documentary captures the magisterial Morrison mulling the limits of language in 2006 as she curated an exhibit at the Louvre she also called The Foreigner’s Home. 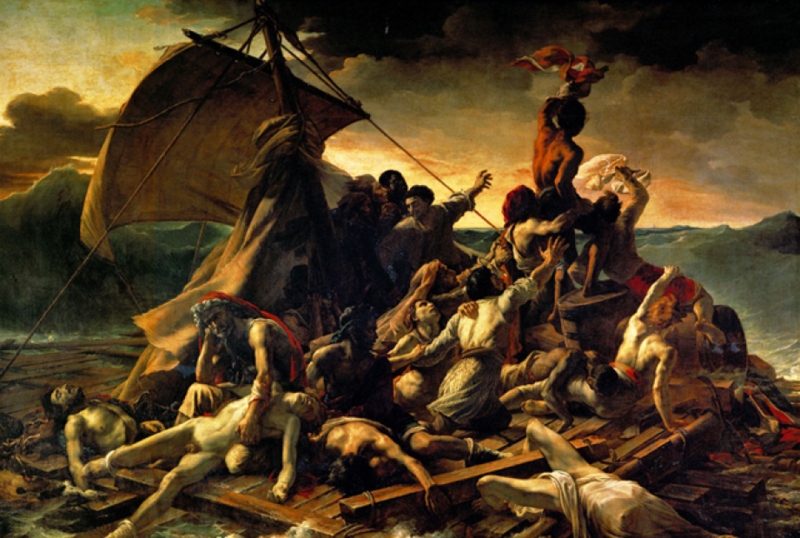 Its centerpiece is Theodore Gericault’s massive 1819 oil painting “The Raft of the Medusa,” created just three years after an actual shipwreck off the coast of Senegal that doomed dozens of 19th-century passengers from the lower classes. The writer explained that the title has two meanings – the foreigner at home, and the foreigner is home, flinging wide the questions of displacement and belonging. She noted that each individual finds oneself “being, fearing or accommodating the stranger.” She put these notions and the Gericault painting before street poets, playwrights, dancers, musicians, choreographers and novelists whom Morrison invited to the Louvre from around the corner, and around the globe. ‘She said, ‘Jonathan, I don’t want to deal with this, but do you know some nice, quiet folk who might want to deal with it?’” recalled Rian Brown-Orso, a co-director of the documentary and professor at Oberlin College. Demme did. All three of his children attended Oberlin, where he met cinema professors Brown-Orso and Geoff Pingree. Demme helped the duo in their 2009 initiative to restore the Apollo Theatre in Oberlin. The director agreed to executive produce the Morrison film project. “He thought at the time he’d either use HBO or he’d try us,” Pingree said. Brown-Orso created the hand-painted animation for The Foreigner’s Home and Pingree wrote the script. The pair concluded they must ask Morrison to sit for the camera, violating one of her original conditions. Pingree wrote a passionate two-page letter in November 2014, making a case for a new interview. In their letter, the directors asked to build 20 minutes of archival materials into a film commensurate with the ideas Morrison explored. In the intervening years, questions around migration had become more urgent. Demme and then Oberlin President Marvin Krislov, who had helped raise $350,000 for the project, predicted Morrison would decline. Instead, she agreed. The man shook Pingree’s hand and melted back into the crowd. The film is dedicated to Demme, who died last year. Tagged: Edwidge Danticat, Toni Morrison.